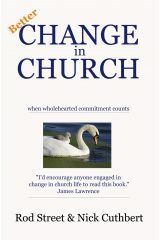 This book provides the concepts and framework to help people to engage with innovation and change more effectively in a church community. Packed with illustrations and anecdotes the book allows leaders to dip in on the topics of most immediate interest within an overall framework that helps them to think through what needs to be done to build wholehearted commitment to the future. Co-authored with Nick Cuthbert, the founder of Riverside Church in Birmingham and a National Christian speaker and leader. Available through Amazon. This contributes to the understanding of how to use channels effectively in the digital age. 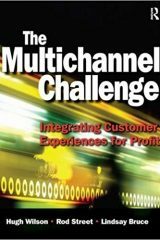 It was published in 2008 and brings a whole series of valuable tools and analyses that have become even more useful in the age of smartphone – emphasising the vital complementary nature of channels and the need to plan and enable channel combinations that provide presence with customers. Co-authored with Professor Hugh Wilson from Cranfield and Lindsay Bruce. In addition to the books above I contributed material to ‘The Marketing Revolution’ (2005 CIM publication) that explains the rise of ‘sense and respond’ marketing approaches and the complexity of engaging well with these as digital marketing becomes increasingly important.